Free Shipping, Free Returns! Experience the comfort of the women's Selection 2 rocker bottom shoe by Exersteps. Relieve impact on hard surfaces. Comments: Work on my feet and the toning shoes seem to work best for me. These are great quality without the huge price tag. I will definitely order again. Comments: I have arthritis so I ordered these sneakers for the rolling bottoms. I'd never heard of Exersteps before, but was desperate to get a comfortable shoe so I took a chance. What a pleasant surprise! The only thing I would like better is a softer insole, which is why I rated them a 4 instead of a 5. Great shoes! Comments: these shoes are comfortable to wear, but they do not fit at the arch of my foot so I can not wear them all day. The rocker sole makes them good for exercise-wear, and that is what I now use them for. Comments: Bought for both my wife and I and we give them the best rating. 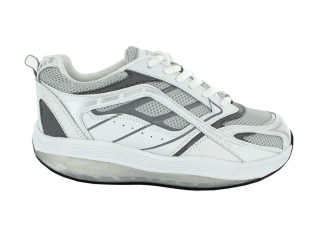 Comments: these shoes are very comfortable and great for walking. Comments: This is the 3rd pair that I have ordered. They are so comfortable and great for walking. 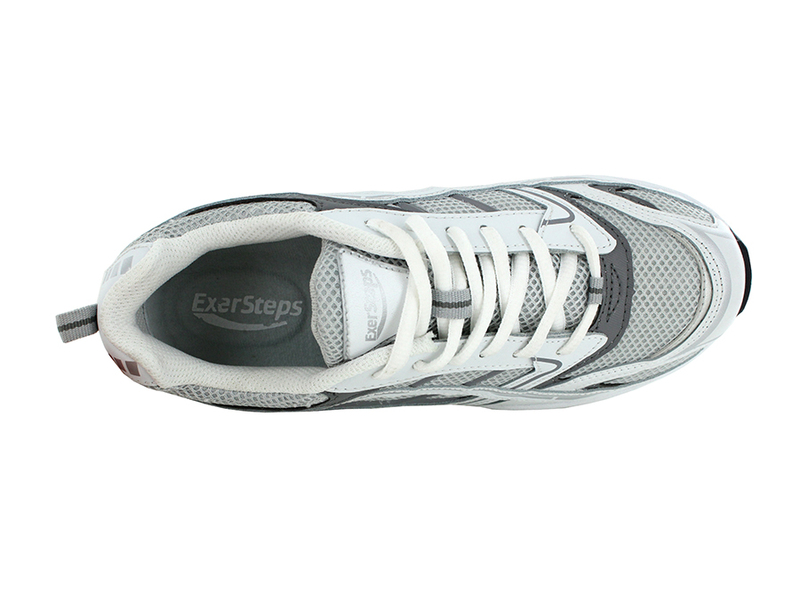 Comments: Just started wearing my exersteps, but they are comfortable and seem well made. I would advise getting the next size up if you wear a half size as they run small. Comments: I got the shoes on Wednesday & I already love them. Their comfortable & they don't cause my feet to be sore after 8 to 10 hours of work. Took a good 2 days of breaking in but it was worth it, & it's worth it for the price. Comments: Love these shoes and hope to order another pair soon! "Cant you make a variety of dressier shoes please"
Comments: These mesh joggers are perfect. Much cooler to wear than the leather If you could make a strap around heel, sandal type shoe, that can wear to can wear fancier occasions that would be great. Some ankle problems do not allow slide in sandals to work for us You have a great product saved me,due to ankle arthritis,I was able to walk again. Comments: only kind of tennis shoes that my aching feet will allow me to wear! Comments: I have worn these shoes for two days. I liked them so much I ordered two more . Good Quality shoe at an affordable price. Comments: I needed to find a replacement for my new balance rock n tone. 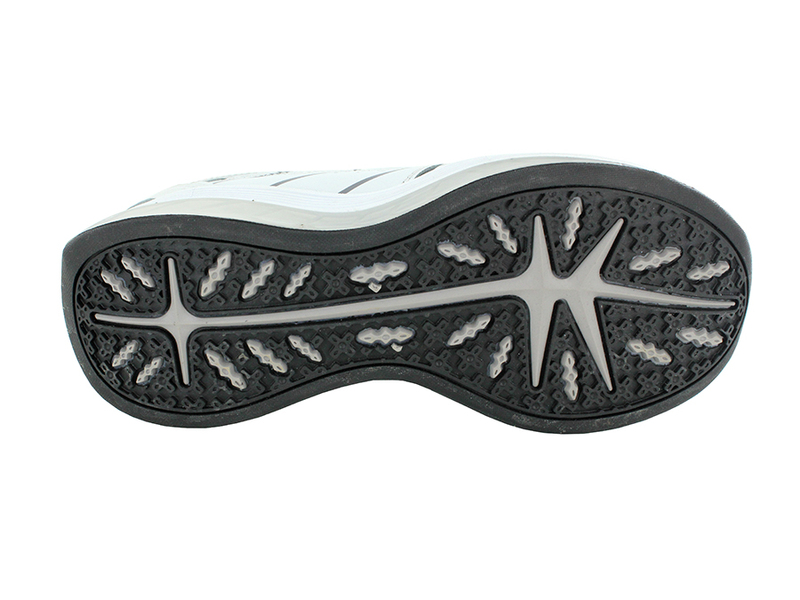 I am on my feet 10 hrs or more and need something with a thicker sole. These are perfect and even better for the price! True to size and color! Comments: I had complete right ankle reconstruction and cannot walk well. These shoes actually help me walk, which is a blessing. I just wish they were a little wider. I will be ordering more, soon! Comments: I absolutely LOVE these shoes!! I wear them at work (I'm on my feet all day) they are so comfortable. I have 3 pairs...1 when I mow the lawn, 1 for work, and 1 for back up!! Best shoes at the best price! Comments: Very comfortable. First time I wore them was for a 12-hour shift. Felt sore after being on my feet for 12 straight hours because I forgot to break in the shoes. Wore them again a few days later with no discomfort. Comments: These $25 shoes have been great for my toe with an old injury that can not bend very well. Great price point and great shoe.